is DIFFERENT than you might think. You’ve seen it on TV: Both men and women fighters with amazing bodies and amazing skills, in an all-out competition to be the best. It’s quite a spectacle, and the Brazilian Jiu-Jitsu fighters usually win. On one hand, you’ve dreamed of having that kind of body and would love to have those kinds of skills, but on the other hand you certainly don’t want to take that kind of punishment. and I’m very PROUD that HUNDREDS of men and women in the Winter Haven area are getting into “fighting shape” by practicing Applied Brazilian Jiu-Jitsu (BJJ) at Bushikan Karate without all the blood and bruises. How many times have you sat on the couch, flipping through channels using the remote, and stopped to watch an MMA fight, wishing you had that kind of body with those crazy skills? News flash: it ain’t gonna happen by watching, and it sure ain’t gonna happen by sitting on your couch. You’ve got to get up and DO something about it! Our Applied Brazilian Jiu-Jitsu classes combine strength and endurance training to develop lean, powerful muscles and a slim waistline. It is a fitness program that you will actually stick with because you enjoy it and enjoy the results. Unlike what you see on TV, our Applied BJJ practice is fun! We practice practical skills without hurting each other in a cooperative environment. We sweat together, learn together, and improve together. Our students have lost 20, 40, even 50 pounds and more! Applied BJJ is a great way to get in shape! so you don’t have to be a star athlete to get good at jiu jitsu. progress attending two or three classes a week. Ever felt intimidated when a big guy with tattoos walks too close? You shouldn’t tip-toe through life intimidated or afraid. 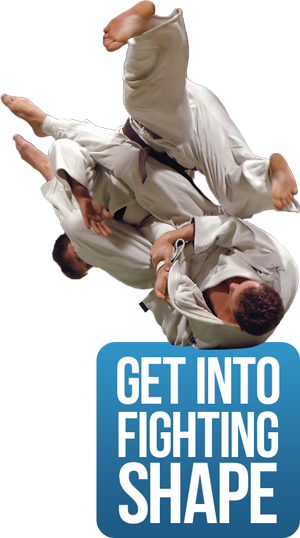 In our Applied BJJ classes you will develop some awesome skills. You’ll know how to handle yourself in any situation. Not only will you be able to do some of the devastating techniques you see on TV, you’ll learn some easy ways to slip out of trouble before it gets started. You see, part of learning HOW to defend yourself is learning WHEN to defend yourself, and when to walk away without hurting someone – not out of fear, but out of compassion. At Bushikan Karate each class involves learning and refining these exciting jiu jitsu techniques with a great group of like minded “warriors,” so it’s never boring. You will get into the best shape of your life, meet positive friends, and you will look and feel better than ever. Best of all, you can try it out…. is the best place in Winter Haven for men and women to learn Applied Brazilian Jiu-Jitsu. Please take me up on this website only Special Offer and you’ll find out why Applied BJJ is the best fitness program for your body, mind, and spirit. P.S. For those who actually WANT to compete in full contact matches, we have a separate program to develop world-class fighters, too.